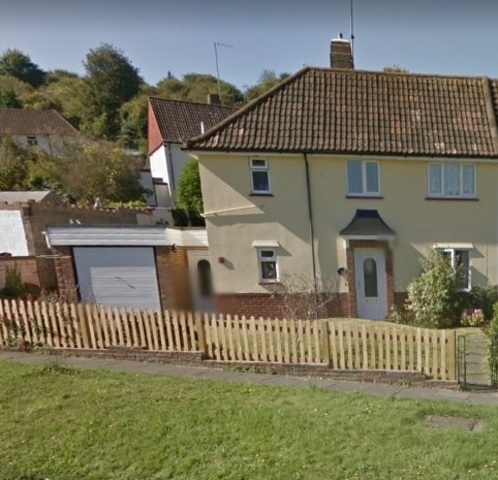 Another family home in Bevendean will be converted into a student house despite calls from neighbours to stop further studentification of the area. 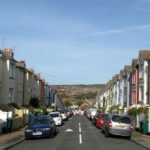 Residents and councillors pushed for refusal as the area is becoming dominated with shared houses, known as houses in multiple occupation (HMOs). The project will mean that the three-bedroom house in Heath Hill Avenue is converted into a six-bedroom shared house with two shower rooms – and another home is lost to family use. Residents have been warning in recent years that the steady increase in shared houses in the area – several converted by the same developer behind these plans, Rivers Birtwell – could have a serious impact on the character of the neighbourhood. Penny Hajduk, of Manton Road, Bevendean, said: “The playgroup has shut down as there aren’t enough children. 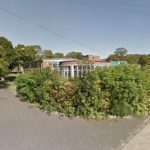 The number of children applying to Bevendean Primary School is dropping which, in the long-term, is not financially sustainable. “Moulsecoomb Primary find themselves in the same position. Brighton and Hove City Council has put in place planning restrictions which rule that any applications for HMOs should be turned down if there are already more than 10% in a 50m radius of the development. 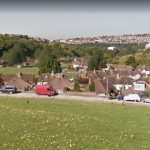 Moulsecoomb and Bevendean ward councillor and Brighton and Hove City Council leader Daniel Yates asked the council’s planning committee to discuss the application and fellow ward councillor Anne Meadows also objected because of the number of shared houses in the area. Residents sent nine letters objecting to the application, describing the area as “overrun by students”. However, the planning committee heard that there were no other HMOs within 50 metres and approved permission. When work is complete, the garage will become a kitchen/living area with the downstairs changed to two bedrooms and a shower room. Sounds like a form of population “cleansing” at work. In the 1960s people with dark skin moving into neighborhood were said to have “serious impact on the character of the neighbourhood”. The discrimination against people who want/need to share accommodation is indefensible – these people need and deserve housing as much as anyone. We were all young once and most of us shared accomodation with peers at some stage. Brighton has a huge digital economy that attracts young people who share accommodation. If you said the same based on race, religion or sexual orientation you would be prosecuted. Dark, dark days when demographic engineering is considered “acceptable”. Shame, shame, shame. This is NOT Town Planning – it is blatant discrimination of an unprotected minority. It is also narrow minded and very short sighted. All places of human habitation evolve and have done so since the beginning of time – towns and cities throughout the world are a testament to that. Learn from the likes of New York, Detroit. There is no place for such intolerance whatsoever. As SamC says – If you said the same based on race, religion or sexual orientation you would be prosecuted. That statement has been taken from an objection to a planning application. I would like to clarify – I do not object to students at all. The problem specifically here in Bevendean is the sheer volume of HMOs. For instance, I live in a road of thirty houses, sixteen of which are HMOs. Although the council are now implementing the fifty-metre rule, there are a vast number of houses that were bought to let way before the council realised that there was a problem. There is already the possibility of redundancies at the school. A doctor’s surgery has been demolished to make way for a thirty-bed student block. If the school closes, then families will have to bus/drive to another school. Students are not the problem, the developers are. If student accommodation could be spread out more, that would give rise to vibrant mixed communities. MegA and SamC = the same developer. MegA and SamC. I take it you don’t live in an area with a huge amount of HMO’s. It has a huge impact on the community, and what about families that need affordable homes. They don’t have a chance as all the properties are bought by developers. Is that not discrimination against families. Bevendean is fast becoming a university campus. Also some families have had to move because of the constant parties keeping them up all night. That’s not funny if you have to get up for work early. Also the landlords don’t look after the properties. So many of them have overgrown gardens and there is rubbish everywhere, so you can’t blame residents if they say enough is enough. Residents have to live there too, and they are entitled to have a voice. The issue here is BHCC’s refusal to consent to more purpose built student accommodation (PBSA) in the city. 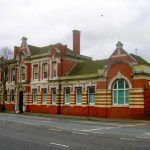 Although East Slope, Preston Barracks, the Lectern Pub and Circus St have all seen recent planning consents, the provision of PBSA is woeful when compared with other similar sized cities with two universities. Article 4 Directives which prevent houses being converted into HMO’s simply exacerbates the chronic lack of student housing in the city. BHCC needs a proper strategy to promote more PBSA development which brings wealth and jobs into the city and reduces the creation of student ghetto areas in what is often poorly managed and ill-suited accommodation.